Japan-based No. 8 Duane Vermeulen has been recalled by South Africa for Tests in England, France, Scotland and Wales during November, the national rugby union said Sunday. After starring in a 2-1 series victory over England last June, the former Toulon forward joined Kubota Spears and was unavailable for the Rugby Championship. In his absence, the Springboks used Warren Whiteley, Sikhumbuzo Notshe and Francois Louw during the six-round southern hemisphere championship. All three performed adequately, but lacked the massive impact Vermeulen brings to a national team ranked fifth in the world. Vermeulen was included among 20 players called up for training in Stellenbosch near Cape Town this week with the touring squad to be finalised next weekend. No Europe-based players nor those involved in the Currie Cup final between Western Province and the Sharks in Cape Town this Saturday were included. Prop Trevor Nyakane and lock Lood de Jager were brought back after lengthy injuries, giving coach Rassie Erasmus more options in a pack that has been generally impressive this season. "Duane will bring valuable experience to the group and it is good to welcome back a player of the calibre of Lood," said Erasmus. "It is a tough tour and our preparation time is limited, but we have set ourselves some goals, as has been the case throughout the season. "We would like the see the squad continue to grow as a group and add to our depth with the 2019 Rugby World Cup less than a year away." 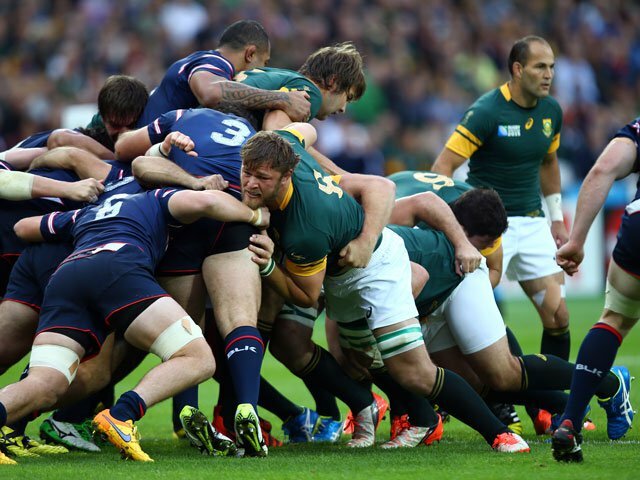 South Africa, who have a five win/five loss record since Erasmus replaced struggling Allister Coetzee this year, face England on November 3 at Twickenham. They meet France on November 10 at the Stade de France in Paris, Scotland on November 17 at Murrayfield in Edinburgh and Wales on November 24 at the Principality Stadium in Cardiff.